We reject, denounce and strongly condemn the repressive actions committed by the three levels of government, their state forces and local lackeys against our compañer@s, adherents to the Sixth, from the ejido San Sebastián Bachajón, Chiapas, Mexico. 21st March is a date of great significance for the organized indigenous peoples of Mexico. 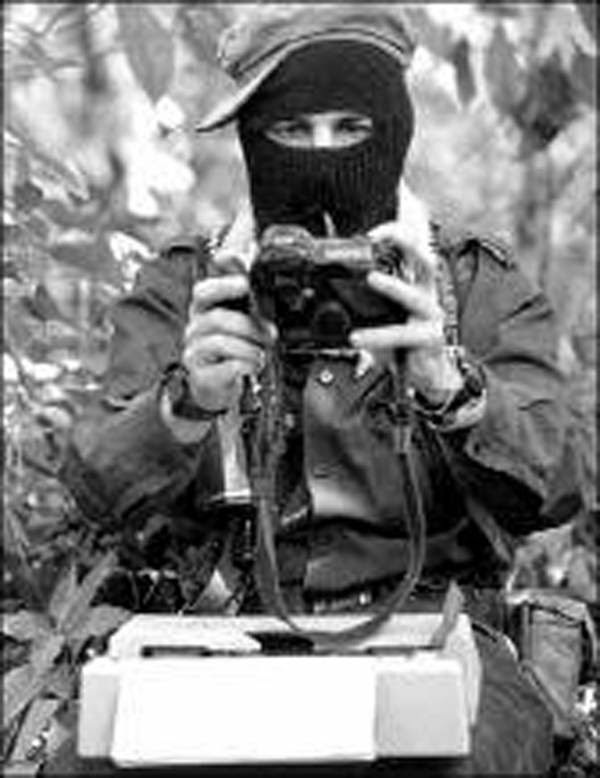 March 21, 2015 is the sixteenth anniversary of the Zapatista “consulta”, when 5,000 representatives of the EZLN travelled throughout Mexico inviting citizens to vote on four questions concerning the San Andres Accords on indigenous rights and culture. This consulta is just one example of the ways in which the Zapatistas have taught us about true democracy. But, for the Tseltal peoples of Bachajón, the situation has been very different; their rights as indigenous peoples to self-determination and full consultation have been violated again and again, and the only consultations that those from above and their lackeys have offered them have been mere simulations and deceptions. March 21, 2015 is also the first anniversary of the murder of Juan Carlos Gómez Silvano, regional coordinator of the organization in the community of Virgen de Dolores. It is surely no coincidence that on that day, at 8 am, more than 600 members of the public forces burned down the San Sebastián regional headquarters, with the participation of the ejidal Commissioner Alejandro Moreno Gomez and the Security Adviser Samuel Díaz Guzmán. In this way, our compañer@s were also violently evicted from their recuperated lands, and the bad government has violated once again those same San Andrés Accords. We remember well that on January 9, 2015, more than 900 members of state and federal police violently evicted the compañer@s guarding and protecting the land that belongs to them and which they had recovered peacefully on December 21, 2014, for the benefit of the people of Bachajón. The ejidatarios adherents remain firm in their resistance, so, to continue and strengthen their struggle, on 29th January they began to build the regional headquarters of San Sebastián on these lands to be a place for work, workshops and sharings. 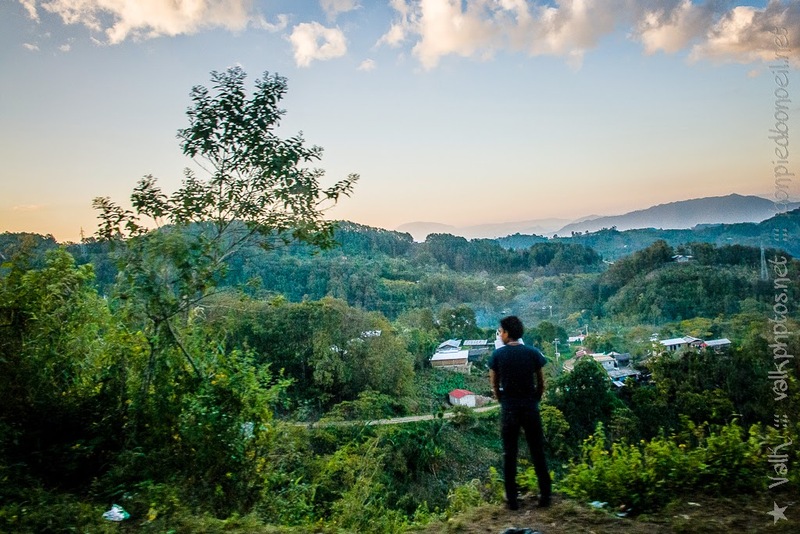 These lands legally and rightfully belong to the indigenous Tzeltal ejidatarios of San Sebastián Bachajón, and are judicially protected under an amparo. However, the three levels of government have chosen once again to evict the ejidatarios using aggression and repression, in total violation of the rights of the indigenous inhabitants. It is well known that the government and big companies want to deprive the indigenous peoples of their territory in order to build a luxury tourism development. As indicated earlier, the right of the Tzeltal people of San Sebastián Bachajón to free, prior and informed consent about the megaproject has been ignored, and this area of ​​their ancestral land has been appropriated without the permission or consent of the ejido. This means that the acts of dispossession of 9 January and 21 March were illegal and clear violations of the human rights of the communities. The rights of indigenous peoples to build their autonomy and to the use and enjoyment of their territory are laid down in national and international treaties that Mexico has signed: the Declaration on the Rights of Indigenous Peoples, Convention 169 of the International Labour Organization, Article 2 of the Constitution of the United States of Mexico, and the aforementioned San Andrés Accords. We demand an immediate end to the violation of these rights. We also demand full guarantees and respect for all the rights of the indigenous peoples of the ejido San Sebastián Bachajón, especially their rights to life, liberty and personal integrity. We are also outraged that two compañeros from the free media have been attacked by the government-supporting group of the ejidal commissioner of San Sebastián Bachajón, Alejandro Moreno Gómez. We will remain alert and vigilant and follow developments in the ejido closely, remaining alert for any acts of aggression. We hold the three levels of government and the current ejidal authorities responsible for the security and integrity of the ejidatarios, and for any acts of violence, harassment or intimidation that may occur. We offer all our solidarity to our compañeras and compañeros who struggle for the benefit of their peoples and to defend their lands and territories, their natural resources and our mother earth. We call on all people of good heart to undertake actions of solidarity and fellowship to accompany the dignified struggle of the people of Bachajón, according to their own ways, times and geographies. No to the dispossession of indigenous territories! Colectivo Contra la Tortura y la Impunidad A.C.
Ricardo Lagunes Gasca, Mexico, D.F. Erik Montero Espinosa, Mexico, D.F. Zeus Tepeyolotl Martinez, Mexico, D.F.